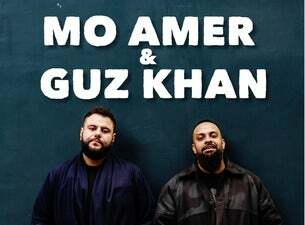 American Mo Amer and British Guz Khan team up to bring laughter across the UK. Mo is of Palestinian descent and best known for his role as one third of the comedy trio of Allah Made Me Funny. Guz is of Pakistani descent and beloved for his character Mobeen on YouTube videos.